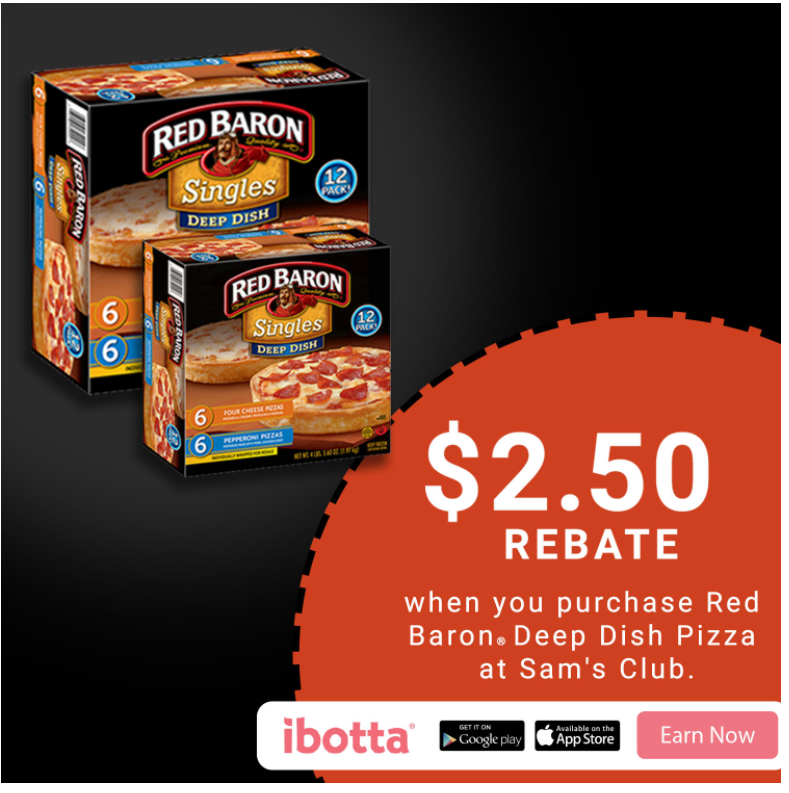 Red Baron Deep Dish® Singles $2.50 Off At Sam's Club! You are here: Home / Great Deals / Red Baron® Deep Dish Singles $2.50 Off At Sam’s Club! Red Baron® Deep Dish Singles $2.50 Off At Sam’s Club! During all the hustle and bustle and baking this season beings on – it’s nice to have a meal brought in or something super quick and tasty that you can feed the family. This year Sam’s Club and Red Baron® Singles in partnership with Ibotta have got you covered!